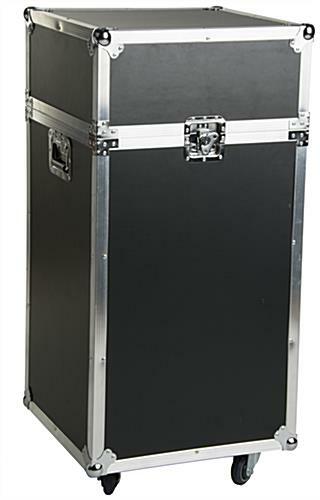 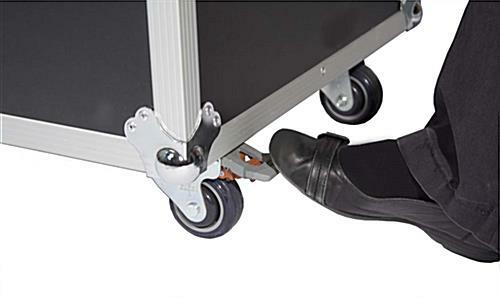 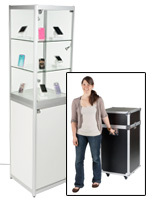 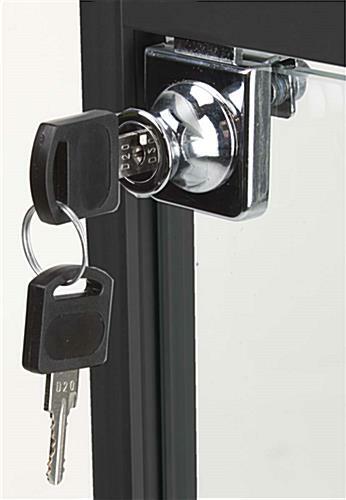 These trade show showcases come with a hard, protective case with wheels for sales people on the go. 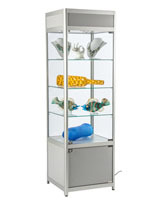 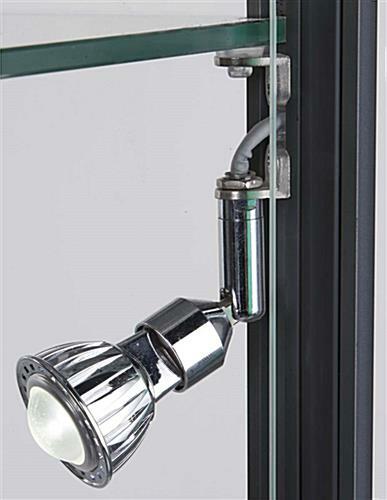 The business display cases have a design that only requires a few minutes to setup and knockdown. 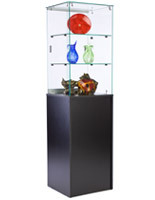 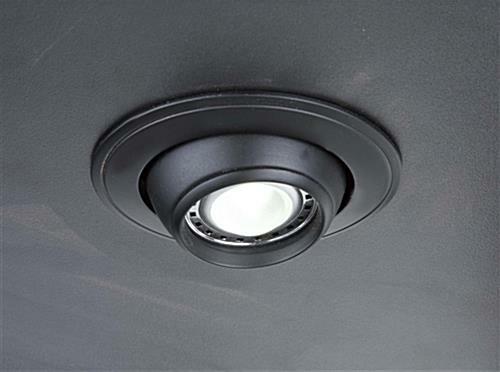 Black finished aluminum tradeshow cases, similar to jewelry displays, attract the consumer with glass panels and LED lighting. 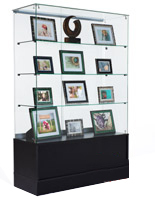 Business display cases accommodate excess materials in the locking melamine base that supports the glass cabinetry. 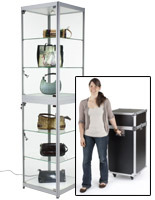 Organize merchandise, such as bracelets, artwork and other merchandise, on the tempered shelving of the showcases to entice the consumer. 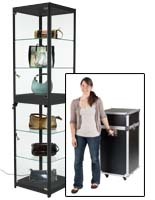 Feet on the jewelry displays are adjustable to stand tall on most floors.